A few days after Acer launched its budget tablet, Asus has announced its new tablet running on KitKat – the Asus MeMO Pad 7. Asus has announced the launch of the Asus MeMO Pad 7, which is the successor of the MeMO Pad HD 7, at the ongoing Computex 2014. The tablet has a 7 inch 10-point multi-touch display with anti-fingerprint coating and resolution of 1920 x 1200 pixels. The device is powered by a quad core Intel Atom processor clocked at 1.8 GHz along with 1 GB of RAM and 8 GB of internal storage. 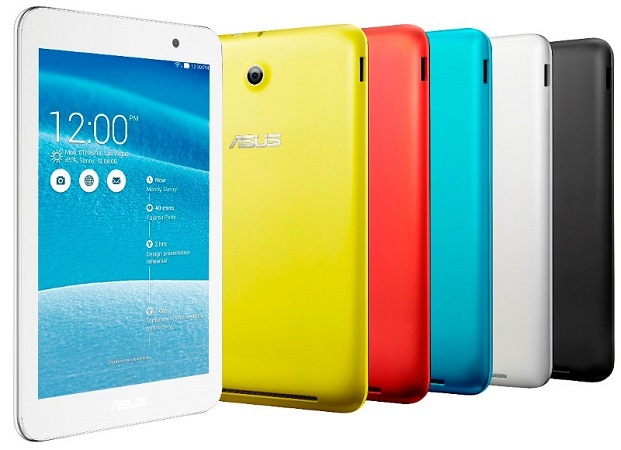 The Asus MeMO Pad 7 is equipped with a rear facing 5 MP camera. There is also a front facing 2 MP camera. The device comes installed with the latest Android KitKat version with a layer of the ZenUI. The company claims that the tablet would offer up to 9 hours of battery life. The device is priced at $150 and is available in white, black, red, yellow and blue colours.